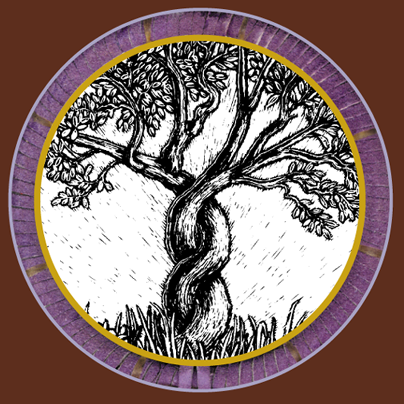 Integrating psychology, spirituality, mythology, ecology, and native wisdom, The Hoop & the Tree reveals the deep structure of psychological and spiritual wholeness that helps us lead lives of balance and fulfillment. The Hoop and the Tree gives us a profound image of wholeness at the core of things. Chris Hoffman makes the image of the Hoop and the Tree come alive through the exercises, questions and stories in the book. Anyone concerned with therapy, mythology, ecology, spirituality or personal growth, will find rich and rewarding material here. I recommend it highly. The Bloomsbury Review November/December 2000, p. 18. There is an old Zuni saying that there is no "Truth," only stories. It is with this phrase that we begin our journey into the realm of study, looking to be happier in our relationships, to release and build our inner strength, to increase our connection with nature, and to live a life of joy and satisfaction. Author Chris Hoffman pulls from his vast knowledge of worldwide images of wholeness to present a path for the modern spiritual adventurer. It is not always easy to find the essence of numerous spiritual traditions, much less to combine them into one meaningful pathway to happiness; however, Hoffman has succeeded. This small travelers' guide is full of imagery, guidance, history and thought presented in a manner that is easy to read and understand. I found it to be therapeutic, enlightening, and a joy to read. The Hoop and the Tree is a category-defying book (a key to a book with juice) that snuggles up with the best in ecopsychology, spirituality, and native studies. The Tree is the vertical growing core of individuality running through the center of your being, from your deepest roots up to your highest aspirations. It anchors and centers you. The Hoop of relationship consists of concentric rings of family, friends, all of humanity, and the encompassing beauty of nature, all encircling the Tree. Drawing on world mythology and sacred traditions including Native American teachings, the long dance tradition, Taoism, Kabbalism, Sufism, Druidism, Buddhism, as well as contemporary psychology, fairy tales, and real-life examples, The Hoop and the Tree is the first book to focus on the relationship between these two powerful symbols and specifically to show how, when properly developed, they bring us a whole new understanding of ourselves and our place in the world. It also makes clear the direct relationship between psychology and ecology, and how the mature self is necessarily ecological. The Hoop & The Tree: A Compass For Finding A Deeper Relationship With All Life is a groundbreaking treatise offering the reader a practical integration of psychology, spirituality, and ecology. Chris Hoffman draws from world mythology and sacred traditions that include elements of Native American teachings, Taoism, Kabbalism, Sufism, Druidism, Buddhism, and contemporary psychology. Highly recommended reading for students of metaphysics, spirituality, psychology, and personal growth, The Hoop And The Tree makes clear that there is a direct relationship between human psychology and environmental ecology, and that the mature self is necessarily ecological in nature. I loved it. An integrative, life-sustaining, eco-spiritual point of view and practice. "Chris Hoffman begibt sich auf Spurensuche und erschließt die alten Weisheitssymbole für das Leben von heute neu: Basierend auf Erkenntnissen der modernen Psychologie stellt er ein leicht umsetzbares Selbstfindungsmodell vor, um sich selbst und seinen Platz in der Welt besser zu verstehen und das eigene Potential in seiner ganzen Fülle zu entfalten."